A score of visual and rhythmic accents for seven jugglers, in praise of slow! 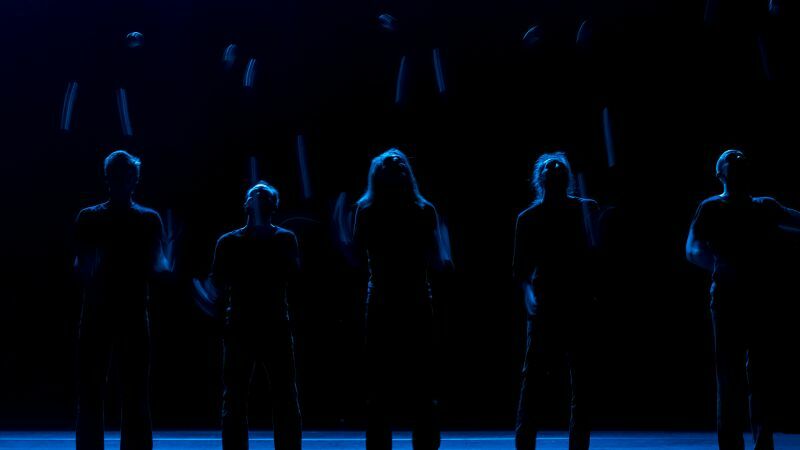 In “Humanoptère “, latest piece for seven jugglers by young juggler and stage director Clément Dazin - already noticed for his hypnotic solo “Bruit de couloir” – the visual power of balls in space and the fragility of human beings seeking beauty get together magnificently. The repetition of an action ad absurdum is the driving force of a continuing impetus toward virtuosity.